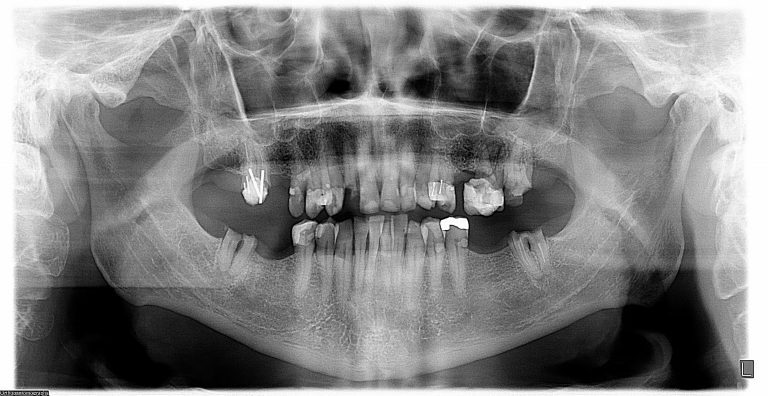 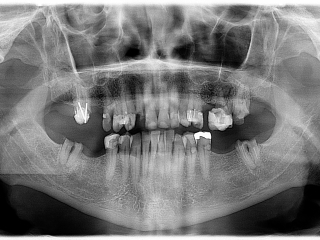 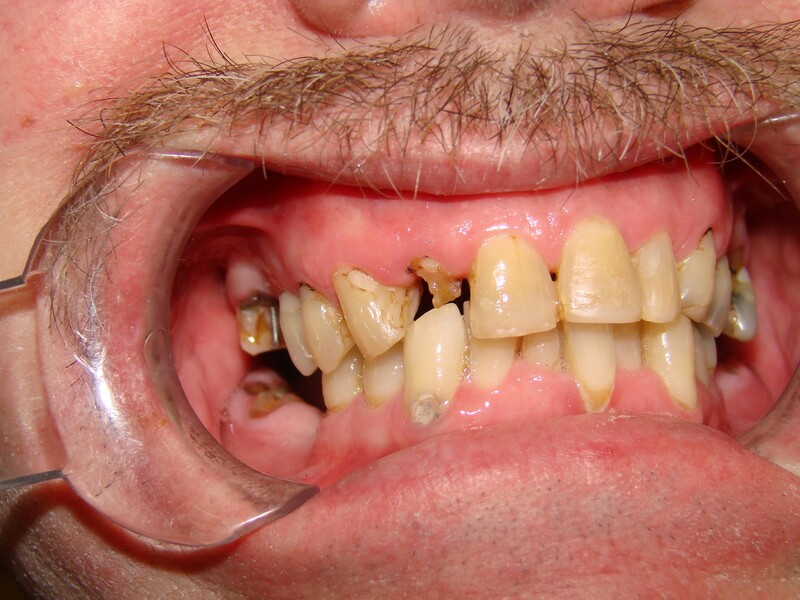 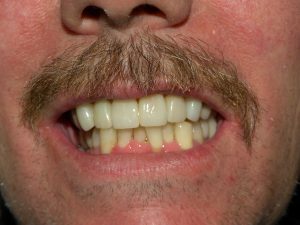 This case is a patient who presented to our office with the difficulty of chewing food and large visible areas of decay. 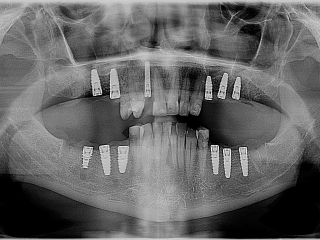 Numerous teeth required extractions. 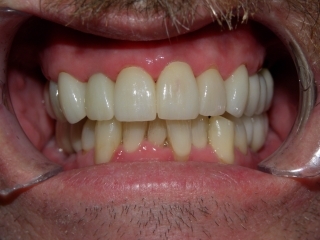 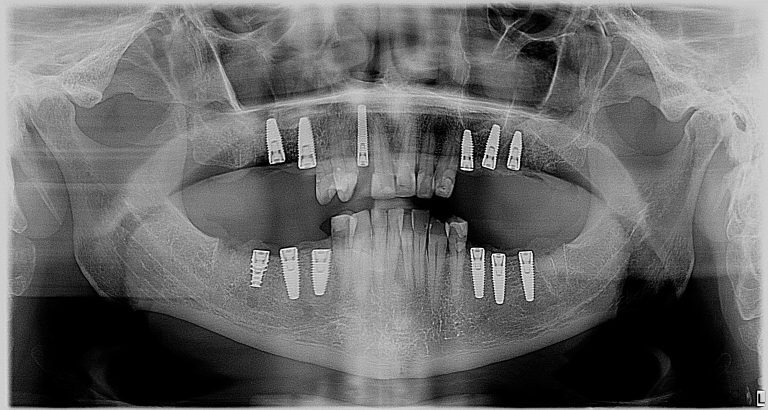 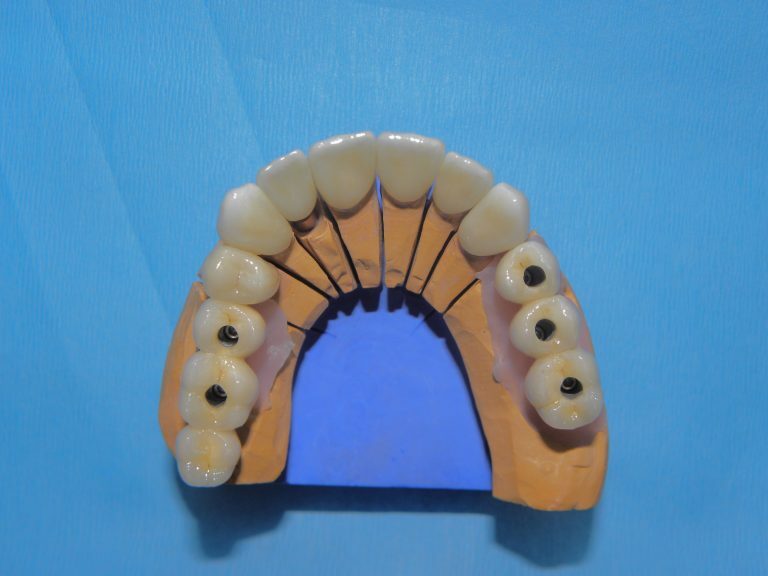 This case is a combination of extracted teeth replaced by implants and numerous crowns. 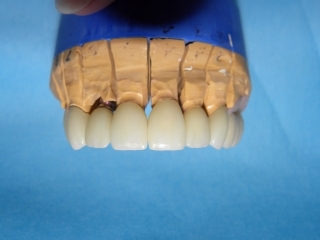 The crowns were done after all the active areas of decay were removed. This patient was very pleased with the outcome and now has a beautiful and very functioning dentition and can chew all food.